Dr. Jason Israelsohn is an Australian trained Osteopath who graduated with a Masters Degree in Osteopathy. 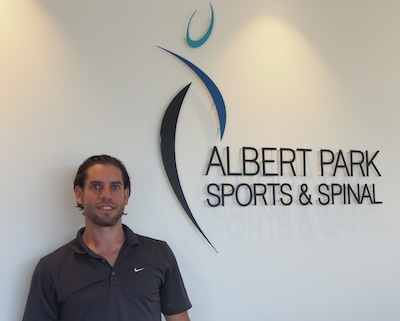 Founder and director of Albert Park Sports & Spinal, he is dedicated to providing an individualized and structural approach to injury management and treatment with an aim to achieving optimal health. Jason’s unique expertise and extensive experience working with elite athletes has ensured his rehabilitation of musculo-skeletal injuries is of the highest standard. His passion and knowledge has resulted in working for AFL football clubs, on the Ladies European Golf Tour as well as on the Women’s Tennis Tour (WTA). Aside from specializing in sport injury management, Jason takes equal care treating conditions affecting children through to the elderly, and ensures that every patient is treated with the latest and most effective approach available. Jason is registered with all major healthcare providers.